Glass Bead Consulting helps organisations to transform their HR function. 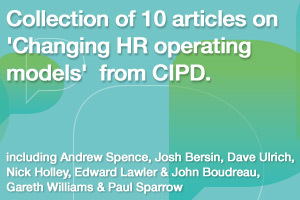 Changing ‘what’ and ‘how’ HR is delivered will enable you to succeed with your HR strategy. We can help you to work out what HR needs to do, how to organise your HR effectively and help you deliver HR shared services or HR outsourcing solutions. Glass Bead Consulting works with clients at different stages in the transformation lifecycle, our consultants help you to make the business case for change. We work as your consulting partner, providing experience, tried and tested tools, as well as training for your staff. We have successfully delivered HR transformation goals across different sectors and geographies using different tactics. We’ve worked for clients and suppliers for HR outsourcing, HR delivery and HR consultancy. We can help transform your HR function to deliver real value to your organisation. Successful HR transformation is more than about improving your business model; it also transforms your people. HR transformation defines roles and empowers line managers to manage their team more effectively. We will help you to make the changes your organisation needs to unlock its talent. We work with clients to achieve their transformation goals working with leading HR outsourcing suppliers as we transition clients to new HR operating models. We’ve worked with HR teams around the world, from Barnet to Bangalore; in sectors from energy to health, for companies with 1,000 employees right through to multinationals with 60,000 people or more. We have a good understanding of which transformation practices work, and which don’t. Our experience is combined with an approach using our developed tools, templates and methodologies. We train your team to use these tools effectively delivering immediate and long term results. We are passionate about developing your people and have training modules to share our skills and experience. The sharing of ideas and knowledge is crucial to making sure changes actually ‘stick’ in your organisation. We want your teams to be confident to lead the HR transformation process.